Thank you for supporting FIERCE! Our work wouldn’t be possible without the generosity and love of friends like you. Together, we’re building a stronger movement of queer and trans youth of color committed to racial, gender and economic justice. You can support FIERCE today by making a one-time gift, becoming a monthly donor, joining our volunteer network, or signing up to host a house party. Thank you for giving as generously as you can! Learn more about the different ways you can support FIERCE. To learn more about how FIERCE is funded and see a list of our supporters, please click here. 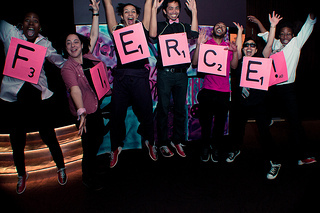 FIERCE is a non-profit organization under section 501(c)(3) of IRS code. Your contribution is tax-deductible to the full extent of the law.